Jessica Jones is not one of Marvel’s most well-known characters, but judging by the recently released trailer for the upcoming Netflix series, everyone is about to know her name. Netflix’s first foray into Marvel based productions was Daredevil, an overwhelmingly engrossing and critically-acclaimed success. That show dove deep into the criminal underworld that high-flying superheroes like Captain America and Iron Man can’t be bothered with. And in tackling that space, Netflix has created the perfect platform for Jessica Jones, a show that looks to thrive in the middle ground between those spaces. Krysten Ritter is the star, a one-time superhero herself that suffered immense trauma from superpowered villain Killgrave. Now, she works as a private investigator, specializing in cases that involve the superpowered. Problem is, the demented trauma that she faced at the hands of Killgrave haunt her every waking moment. That haunting also swallows this first trailer whole. Jones is broken, with a heavy alcohol dependency. And while she hopes that the worst is behind her, Killgrave is back and leaving more broken people in his wake. But how do you stop someone with the ability to make you do whatever they wish? The trailer itself bears a stalker-y vibe, with Killgrave seemingly obsessed with Jessica Jones, and that same dark feel that made Daredevil so compelling. Still, seeing our (anti)hero fly, lift cars, and knock people across the street points to a show with the strength to stand on its own. While this isn’t my usual super-hero fare, I must say that I am beyond excited to see these shows holding strong on streaming media. I will definitely be tuning in to Jessica Jones. 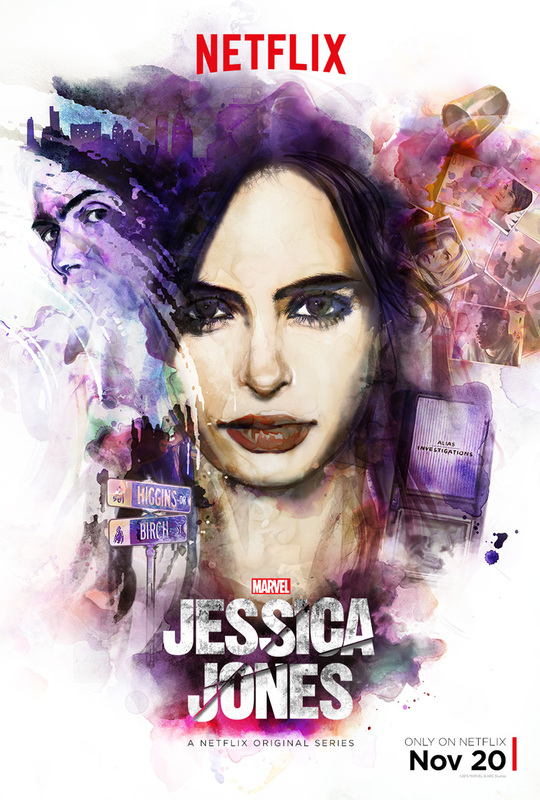 Jessica Jones stars Krysten Ritter as the lead, David Tennant as Killgrave, Mike Colter as Luke Cage, and Rachael Taylor as Patsy Walker. Other castmembers include Carrie-Anne Moss, Eka Darville, Erin Moriarty, and Wil Traval. Tank is “Quitting” R&B but is it the Fans’ Fault?